Africa Tanks offer retailers a choice of colours and are available in 2 000, 2 500, 4 000 and 5 000 litre sizes. Water is a scarce resource in our country and water storage, harvesting and saving solutions have become an absolute necessity. This problem is not going to go away and demand for water storage and rainwater harvesting is growing exponentially. Hannes Geldenhuys and Frik Mulder recognised this need and went into partnership to start an African first with their factory, aptly named Africa Tanks, situated in the small mining town Cullinan. The technical brain behind the company sourced the best technology for their factory. The retail brain, Hannes Geldenhuys, is a highly respected retailer owning numerous hardware and FMCG retail stores throughout South Africa. “The tanks are designed to be tough enough to withstand the demands of the African climate, deliver real value at an affordable price and are strong enough to rely on,” say the owners. 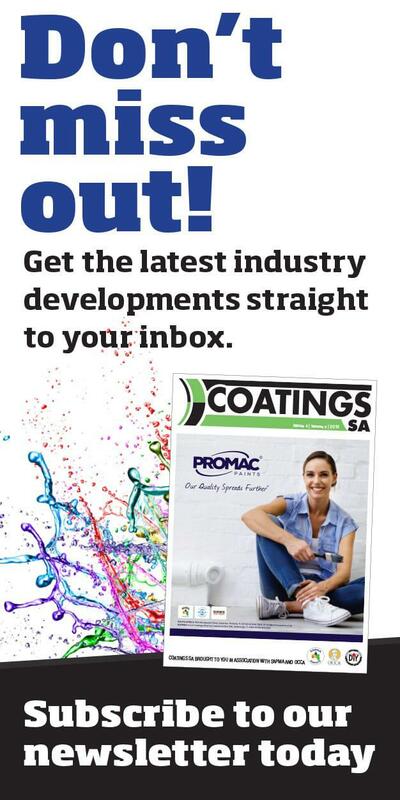 Mulder sourced a 5 000 litre blow moulding machine, the biggest in South Africa and probably Africa according to him. He insisted on the best components and motors for all aspects of the process, and purchased two of each to ensure the factory will experience no down time. Blow moulding of water tanks is superior to roto moulding as it allows for use of high-density polyethylene, which is stronger than some of the low-density option available. The benefits of the blow moulding process are longer life, premium quality finish and a strong sense of style, but most importantly, the tanks produce food grade water storage. The outer layer is UV stabilised and has been modified to ensure a high resistance to UV degradation and comes in a variety of colours. The middle layer is black, which blocks out sunlight or UV radiation and ensures that there is no algae and bacterial growth inside the tank. The inner layer is made from food grade HDPE material, ensuring that the tank’s water is safe for consumption. Its white opaque layer makes inspection of the inside of the tank both easier and more accurate to gauge. The blow moulding technique used to manufacture Africa Tanks is a first in South Africa. For water tanks, the raw materials are stretched, clamped and pre blown and each tank is produced in a fully automated process to the completion of the tank. The accuracy and consistency is guaranteed due to the wall thickness controller unit with which the plant is equipped and the water-cooling system means the tanks can be handled immediately after being produced. 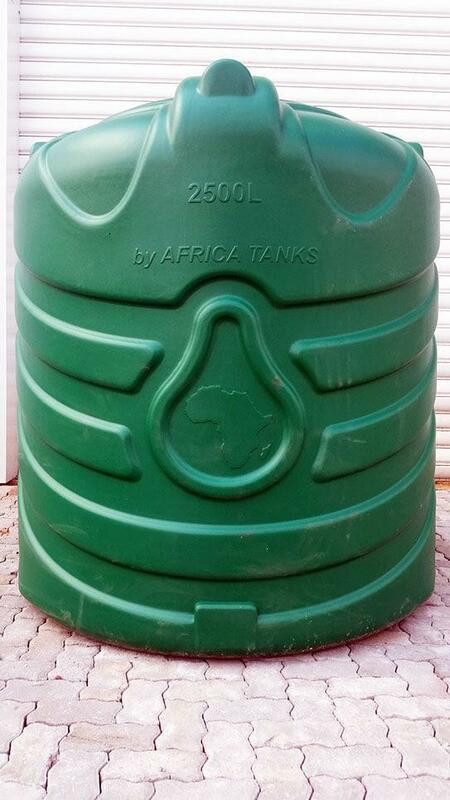 Africa Tanks offer retailers a choice of colours – green, yellow, red, orange, blue, Sahara, white and light and dark grey – and are available in 2 000, 2 500, 4 000 and 5 000 litre sizes. Africa Tanks also offer a 1 600 litre under eave slimline tank to suit most estate house rules. They also have a revolutionary special shaped split tank that has a removable lid allowing them to be stacked for ease of transport and then reassembled at its destination. This is a perfect solution for cross border retailers as transport costs are minimised. Africa Tanks takes safety seriously and all the tanks are equipped with screw on lids preventing anyone or anything from falling in. They also come with industry standard outlets and inlets. The tanks can be manufactured with retailer name and other detail inscriptions and also include water level measurements on the outside of the tank making it easy to determine how much water is in the tank. 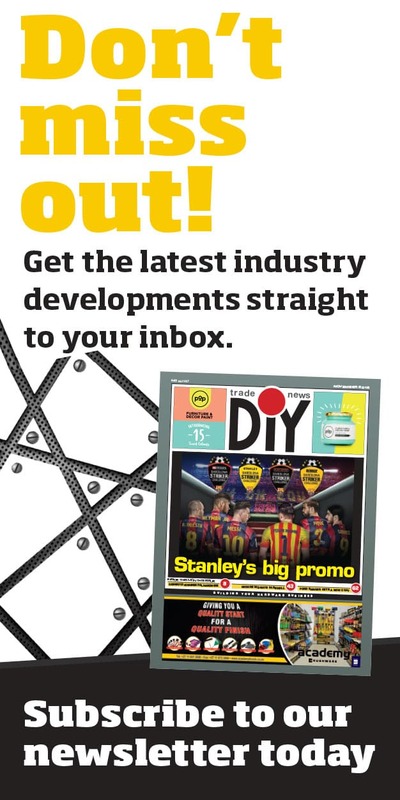 Africa Tanks water storage tanks are exclusively available from Build it stores during the launch period and will be available from the greater hardware retail market from September.